One Brevard County woman loves them so much, she uses their abilities to help disabled people have a better quality of life. Every day, Pamela Rogan heads to the stable at her Harmony Farms property in Cocoa. It's a 26-year labor of love. "I never expected to still be doing this at this point in time," Rogan said. "You grow up in an apartment in Brooklyn, and there's no room. My motivation is these guys, the horses." "This is Cheyenne, she is an Appaloosa Mare," Rogan said, as she introduced us to some of the horses. "This is Irish, he's just a big, old, goofy guy. And this is Emily, she's our senior person. She's 31 years old." The horses have offered peace for thousands of children with mental, physical, emotional or behavioral disabilities over all these years. The children may not respond to people, but the horses bring out the best in them. "They are really special animals, they have a lot to give to people," Rogan said. 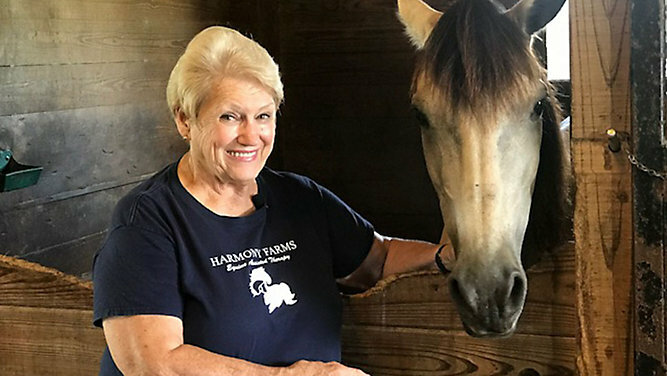 Rogan guided Harmony Farms through the devastation of Hurricane Irma. The property was flooded and the horses could not be let out. But thanks to donations, plus long hours and the hard work of volunteers, the farm is back to normal. Back to helping those who need it the most. "Come and support us, because we have a program that works," Rogan said. Rogan is working with her team to develop a senior program, and a "daddy and me" program. She says it's just another way Harmony Farms can give back.